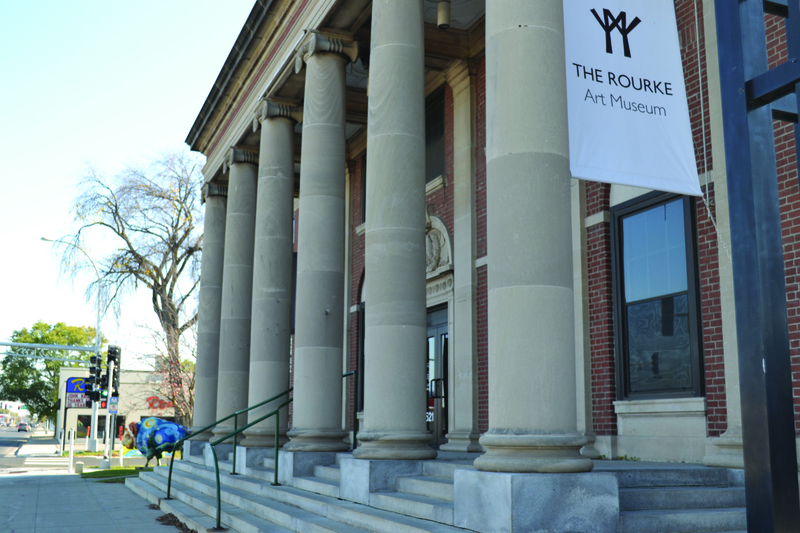 The Rourke Art Gallery and Museum at 521 Main Ave. Moorhead, Minn. The Rourke Art Museum in Moorhead will be hosting the work of MSUM alumnus Zhimin Guan, associate professor of art, and Brad Bachmeier, professor of art education, beginning Friday until Dec. 31. Guan had the idea to work with Bachmeier and display collaborative works of each artist. In addition, they are planning on possibly having a few works of art that they created together. “A possible example of what they would do is Zhimin may paint one of Brad’s potteries,” said Tania Blanich, executive director of Rourke Art Museum. Guan’s describes his work as a “singular figurative image within a surreal landscape.” He incorporates the traditional with the experimental, the figurative and the abstract in his paintings. Bachmeier’s art work techniques are said to be loosely derived from a 16th century Raku Japanese firing technique and eastern pottery. Guan has received more than 20 awards for his paintings; his drawings and prints that have been exhibited throughout China and the United States in museums and galleries. Guan has had solo shows at the Rourke Art Museum in past years. Bachmeier is nationally recognized for his ceramic work, which is in many significant permanent collections including at Michelle Obama’s office in the White House, Microsoft Headquarters in Seattle, the North Dakota Governor’s Mansion, the North Dakota and South Dakota museums of art, the Plains Art Museum and Rourke Art Museum. Each year, the Rourke Art Museum features Bachmeier’s work in a one-person exhibition.